institution in South Africa from scratch. Between 2005 and 2006, an outbreak of extensively drug resistant tuberculosis (XDR-TB) killed all but one patient at the Church of Scotland Hospital in Tugela Ferry, South Africa. The median survival time following diagnosis was a mere 16 days, and of the patients tested, all were co-infected with HIV. The situation was desperate, the fatality rates unprecedented, and the community unprepared for an outbreak of this magnitude. Though this calamity sent shockwaves through the TB and HIV research communities, the situation was not unique. XDR-TB had been detected in all of South Africa’s nine provinces, all of its neighboring countries, and dozens of other countries across the globe. HIV was fueling the TB epidemic, and Africa was the only region of the world in which TB incidence was on the rise. No new TB drugs had been discovered in nearly 40 years. Effective vaccines against HIV or TB infection remained a dream. More than 8,000 miles away, in Chevy Chase, Maryland, American researchers at the Howard Hughes Medical Institute (HHMI), the largest private funder of academic biomedical research in the United States, were meeting to discuss their international program. At this meeting, Dr. Bruce Walker, an HHMI investigator who leads an HIV research lab at Harvard Medical School, proposed using a model similar to what has historically worked for HHMI in the United States: investing in individual investigators who were doing great work in biomedical science. The plan evolved as Dr. Walker traveled to Durban to meet with leading South Africa-based scientists in HIV and TB research, building a committee that worked over the next three years to realize their vision for the KwaZulu-Natal Research Institute for Tuberculosis and HIV (K-RITH). Back across the Atlantic, at Harvard College, I was working to realize my much smaller vision of graduating and pursuing international infectious disease research. As a rising senior in 2011, I was starting to worry about where I would be after graduation. I had spent three years working in a basic science research lab studying Mycobacterium tuberculosis, the bacteria that causes TB. Scientifically, I was interested in the interaction between HIV, TB, and the human immune system; classes and global health advocacy work had taught me about the human side of the epidemic, but living in Cambridge, MA, I remained a world away. Through a series of fortunate events, I found myself on a Skype call with Dr. William Bishai, a TB researcher from Johns Hopkins who had recently been named the first permanent director of K-RITH. His enthusiasm for basic science and the potential impact that K-RITH could have on the surrounding community was infectious, and a few months later, I was boarding a flight for Durban. My work was going to be supported by a Fulbright grant, which I had applied to with a proposal for doing research in a space I couldn’t imagine and that actually didn’t even exist yet. I had absolutely no idea what to expect from K-RITH, and was terrified that I was proposing an idea that was doomed to fail. This uncertainty wasn’t limited to the feasibility of my project; by the time I was headed to South Africa, I had signed a lease for an apartment thousands of miles away that I had never seen, and knew I would have to buy a car with a manual transmission after only a few frustrating lessons in driving stick shift at home. The author at work in the lab at K-RITH. With my degree in hand and an idealistic dream of making some groundbreaking contribution to TB research in mind, I arrived amidst the chaos of the official opening of the state-of-the-art research facility that had been drawn up by Dr. Walker and the K-RITH steering committee in 2009. The shiny new building quickly filled with brand new laboratory equipment, brilliant scientists from all over the world, precious samples from patients suffering from TB and HIV infection, and a few idealistic recent college grads like me. Between the smart people, the millions of dollars, and the myriad fascinating scientific questions to be answered, it seemed like all of the ingredients were in place for realizing the ambitious vision born six years prior at HHMI. After the shaky first months moving equipment into the brand new lab spaces, we settled into our new home. At this point, I still hadn’t started the project I had proposed to do at K-RITH—studying the immune system of patients co-infected with HIV and TB. Though I kept myself busy with side projects in the meantime, I was anxious to do the project I had envisioned working on back in 2011. 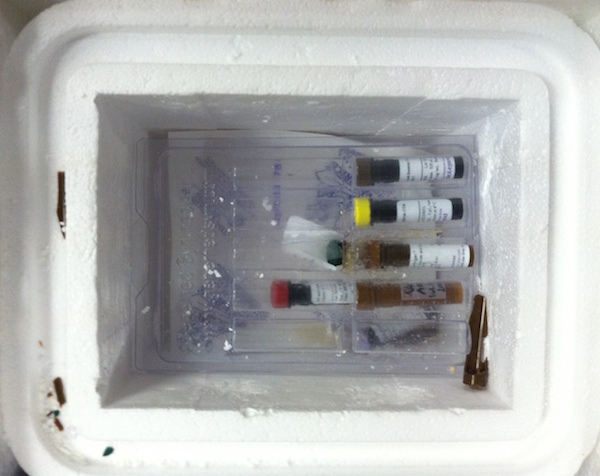 My project was slow to start because it took months for the lab to receive reagents shipped from overseas. Certain products manufactured or stocked by companies with South African offices didn’t pose a significant problem, but some experiments required products that were shipped from the US or Europe, and, in one case, took months to arrive. This delay made the cost of a failed experiment much higher than I had experienced before, and required that both time and materials be used as efficiently as possible. When I did start my research, it was with a very different sense of purpose than the research I did as an undergraduate. Whereas in Boston I studied cells purchased from a company and stored in the freezer, at K-RITH I was working with blood and tissue that came directly from the patients that were being treated nearby. Suddenly “TB” and “HIV” represented much more than stocks of bacteria and virus with which I infected cultured cells in the lab in Boston. Living at the heart of these epidemics, shadowing infectious disease doctors at the country’s second largest public hospital, the human side of these epidemics was devastatingly apparent. As an American researcher in a well-funded lab, I was insulated from the worst of the tragedy, but even inside the lab we saw the effects the disease we were studying first-hand: a close friend and lab mate struggled for two years with nearly fatal battle with MDR-TB. His resilience was an inspiration to all of us, and the frankness with which he shared the narrative of his illness incarnated the narratives of the 2006 XDR-TB crisis that inspired K-RITH’s mission. Carrying out this mission has further challenges going forward. According to Dr. Walker, the foremost challenge will be sustainability. While the problem of financial stability is not unique to K-RITH or to South Africa, the politics of funding research for diseases that affect the developing world complicate the situation. NIH funding comes from American taxpayer dollars, and the continued funding of research programs that affect people outside of the US requires continued taxpayer support. Would Americans be willing to fund research on diseases that don’t affect them directly? To fund TB research, other organizations have stepped up, such as The Bill and Melinda Gates Foundation, and others that, fortunately for K-RITH, specifically fund projects in South Africa. Vials with precious samples were shipped from the US to the lab at the wrong temperature, causing some of the tubes to burst and holding back research. As a scientist, I’m used to challenges with equipment, reagents, and funding. But I didn’t expect that one of the biggest challenges of working in South Africa would be personal. Daily, I found myself emotionally exhausted by the struggles of living as a black American woman in a South Africa that was still licking its post-apartheid wounds. Sometimes this meant artfully maneuvering my way through variably subtle but unmistakably racist comments and situations, a skill that I had long since mastered growing up in the United States, but nevertheless found fatiguing. Other times it meant grappling with my identity as I balanced the novelty of being in the country’s racial majority with being constantly reminded that I was distinctly and irrefutably foreign. And other times it meant facing the sobering reality, as I catalogued the demographics of various HIV patient cohorts at K-RITH, that the brunt of the HIV epidemic was borne by young, black women like myself that happened to have been born into less privileged circumstances. Overall, the experience was demoralizing and isolating, and several months into my first year at K-RITH, part of me was looking forward to going back to the US on my scheduled departure date in June 2013. But in February, South African scientists made history when a team of researchers at the University of Cape Town announced the results of the first TB vaccine to be tested in humans in 92 years. Though the results of the trial were disappointing, its very existence signified a historic achievement for the global TB community, and the South African community in particular. The very existence of this trial illustrated the indispensability of places like K-RITH — addressing diseases that affect the developing world requires that the populations affected by them be central players in discovering their cures. Appreciating that K-RITH afforded me the opportunity to do research I could not do anywhere else in the world, I decided to stay for an additional year beyond the tenure of my Fulbright scholarship. Representatives from the team that conducted the vaccine trial attended the 2013 Keystone TB conference in Whistler, British Columbia, which I attended with over a dozen researchers from K-RITH. This was my first time being at a big international research conference, and I felt proud to be presenting my work, but even more so to be representing K-RITH and the South African research community. The energy at this conference mirrored that of the K-RITH opening six months prior, but by this point, we were presenting exciting data, not just hope. In the posters, abstracts, and lectures delivered by my colleagues, the realization of K-RITH’s potential was suddenly apparent. The historic Cape Town vaccine trial illustrated the uniquely impactful research that could be conducted in a TB/HIV-endemic setting. Eight years after the devastating XDR-TB outbreak in Tugela Ferry, South African research institutions were making groundbreaking contributions to the global fight to end the HIV and TB epidemics. The fight continues. For me, it involves working towards a PhD degree studying the basic biology of the immune system in order to identify defense mechanisms that may play a role in the pathogenesis of TB. For the community as a whole, the problem is substantially more daunting. In 2013, 9 million people developed TB, 13 percent of whom were HIV-positive. 1.5 million people died of TB disease in 2013, and Africa suffered the highest death rates relative to population of any region in the world. In the same year, 1.5 million people died from AIDS, and TB was the leading cause of death amongst the 35 million worldwide living with HIV. Numbers on a page don’t do the epidemic justice, and researchers all over sub-Saharan Africa work tirelessly on its front lines every day. Armed with brilliant investigators, a commitment of over $70 million from HHMI, and a state-of-the-art research facility, the future of K-RITH seems promising. My short scientific career, particularly at K-RITH, has taught me a lot about the distinction between factors that are necessary, versus those that are sufficient, to cause a certain outcome. This is something that we test in the lab experimentally when we’re trying to understand the underlying mechanisms of a complex biological process. But it’s also a principle that I’ve come to appreciate with respect to combating complex diseases like HIV and TB. Effective drugs are necessary, but insufficient, because the pathogenesis of these infections is as socially determined as it is biological. Similarly, establishing a successful research institution in South Africa to study these diseases is complicated by factors that are both tangible and abstract, and affect the institution’s health on both individual and systemic levels. Financial stability, talented scientists, and cutting-edge technology; like effective drugs and vaccines for diseases, these ingredients are necessary constituents of a successful international research facility. Unfortunately, like drugs and vaccines, they’re also not sufficient. And like the intangible and often under-appreciated social determinants of diseases, the more abstract building blocks of K-RITH’s success are much harder to identify and address. Just as social interventions have been effective at curbing the worldwide incidence of HIV and TB in recent decades, K-RITH’s institutional mindfulness of its less perceptible challenges will be integral to its continued success. 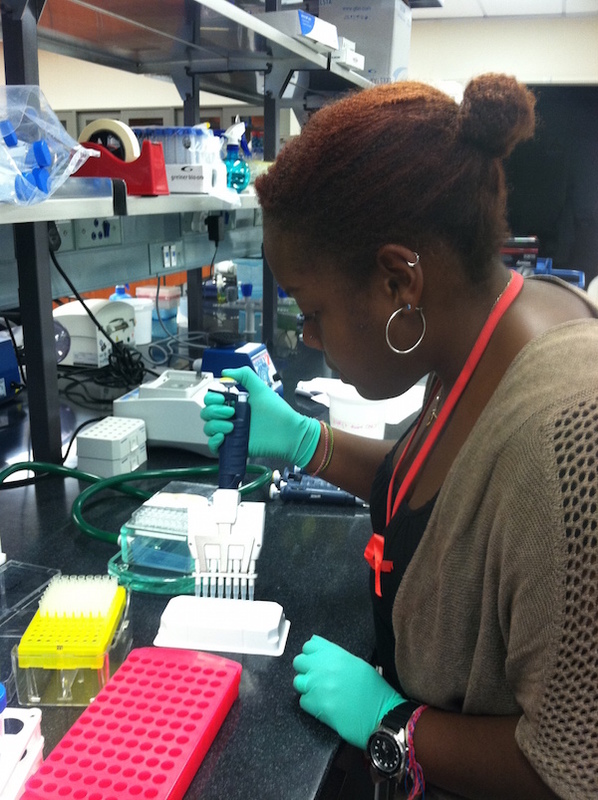 Zuri Sullivan is a graduate student in the Department of Immunobiology at Yale University, and a blogger and founding editor of Because Science. Twitter: @zurisullivan.